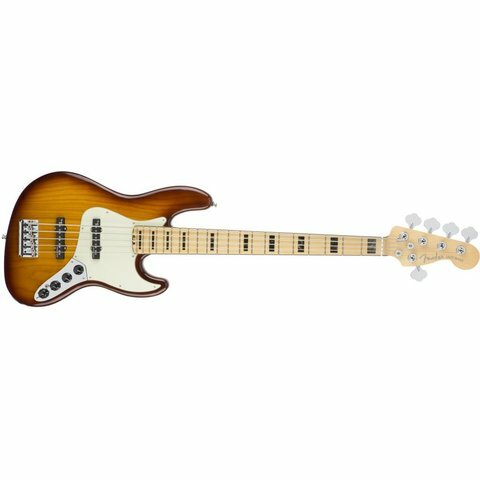 Packed to the gills with our latest revolutionary innovations, the American Elite Jazz Bass V is an active 5-string bass for the modern bassist who demands cutting-edge tone technology along with timeless style and fast, smooth playing feel. 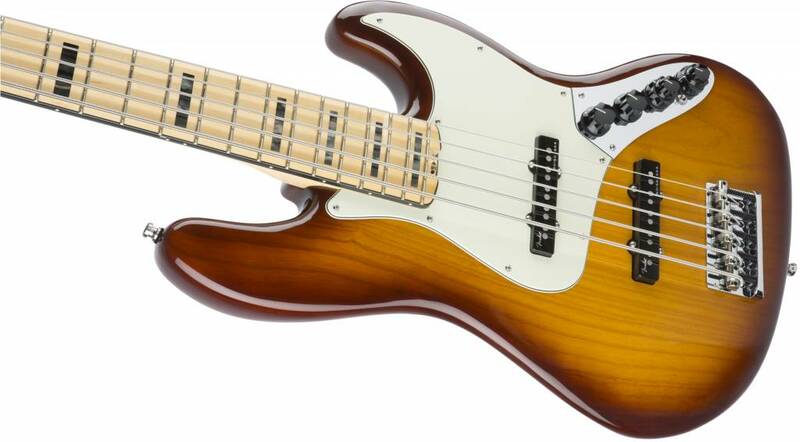 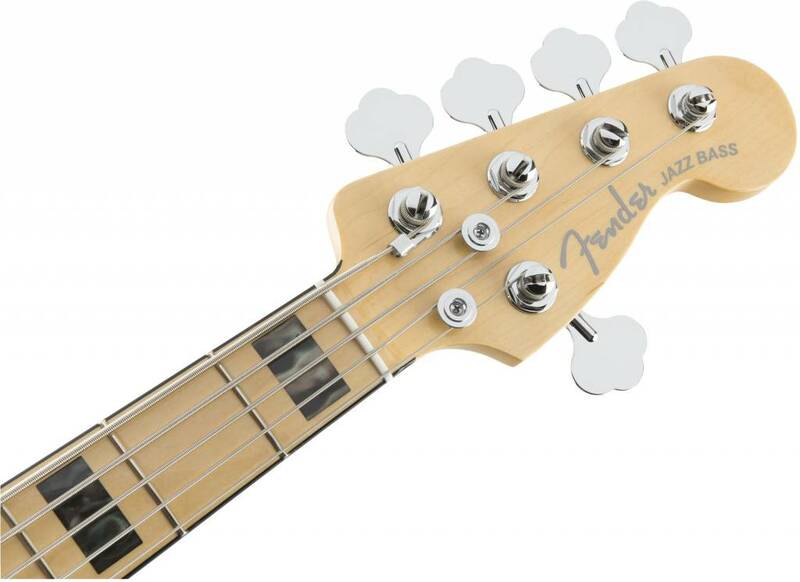 Its versatile sound easily matches any playing style-picked, plucked or slap-and-pop-while its standout looks remain authentically Fender, with a fresh twist. 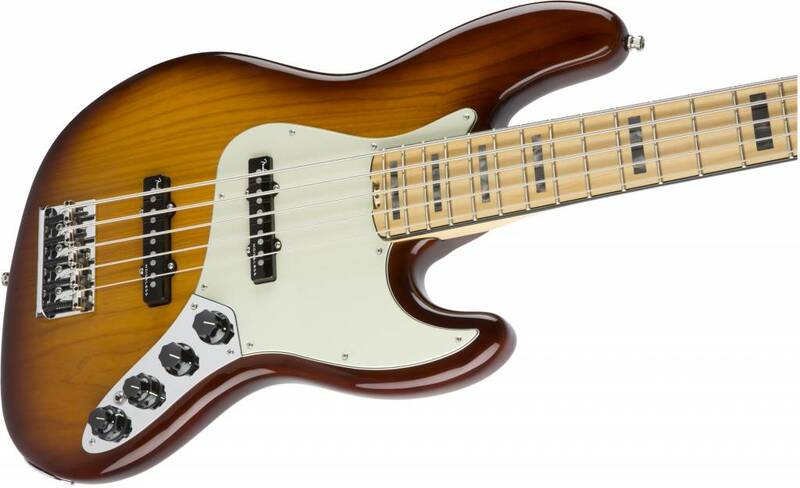 This bass is packed with Fender's immortal aesthetics-from the ergonomic contours to the black chrome headstock logo, large pearloid fret markers and new color this instrument will pin the audience's ears back with it's gigantic tone and slick style. 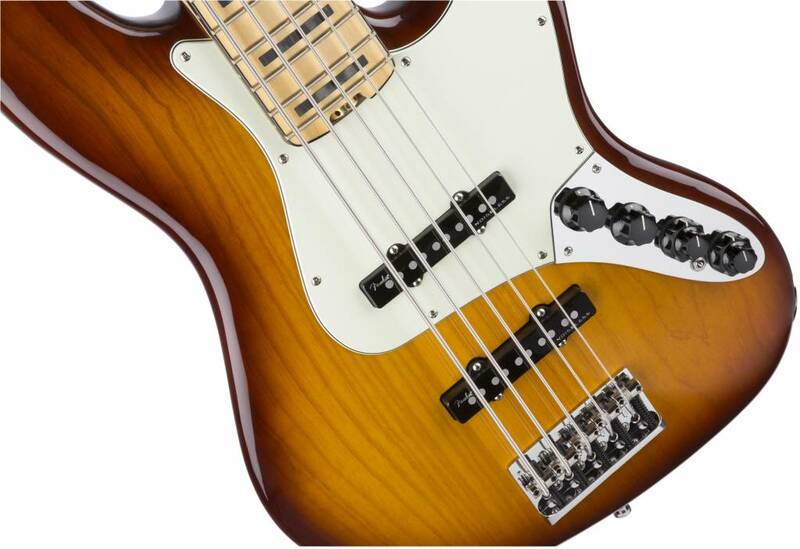 The American Elite Jazz Bass V is a bold new bass for adventurous bassists who need a tonal multi-tool that refuses to compromise on any front. 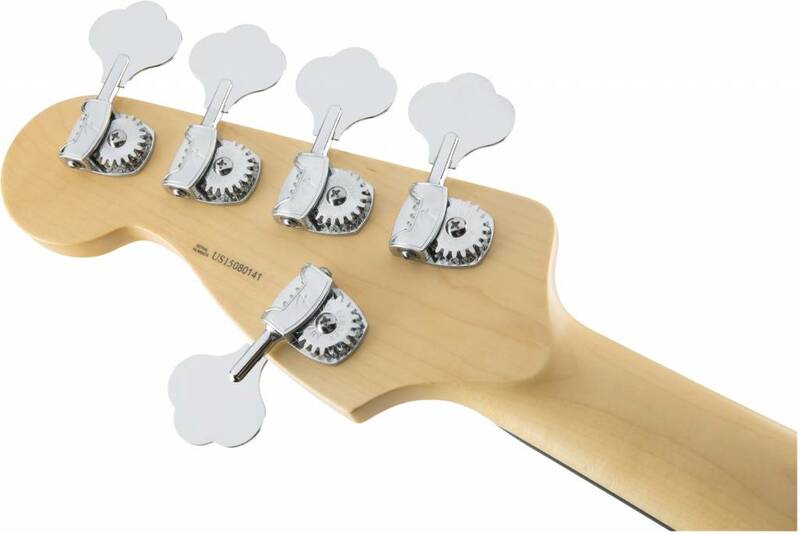 Includes a redesigned Elite Molded Case with body-hugging contours to provide increased protection for your cherished instrument and TSA locks.